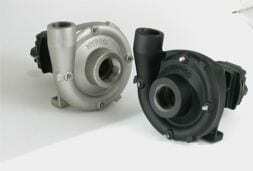 Hypro offers a wide variety of hydraulic-driven centrifugal pumps for use in agricultural tractor applications. To assist in selecting the right pump for your tractor we have produced an online selection guide to assist you in selecting the appropriate pump for your needs. Simply go to our section guide in the tools section of this website, enter your tractor brand and model and the guide will take you to the most appropriate pump and hydraulic motor combinations for your application. This guide takes into account the hydraulic capacity and hydraulic system type and generates options in the most popular Hypro hydraulic centrifugal product ranges. If you have any difficulties locating your tractor brand and model please feel free to contact us.